We’re adding variety to our mat classes and offering more options for new and current members to join us. 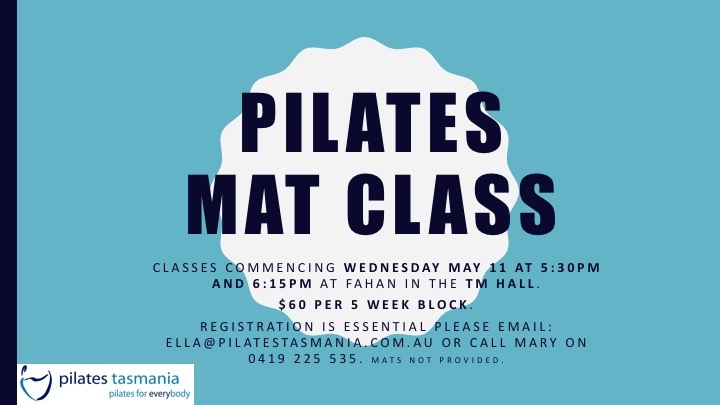 We’re pleased to launch two 45 minute mat classes at Fahan School (Hobart) commencing Wednesday May 11 at 5:30pm and 6:15pm. Classes will be structured in 5 week blocks and cost is $60 per person. Mats are not provided, so be sure to bring one along. Registration is essential and is NOW OPEN, confirm your spot via email to: ella@pilatestasmania.com.au no later than Friday May 6.